Ghent, Belgium – Leading polyolefins additives supplier Milliken Chemical has innovative solutions to showcase at the upcoming Gulfood Manufacturing 2018 exhibition for clear packaging applications in polypropylene and PET. At that Nov. 6-8 show in Dubai, Milliken will demonstrate why NX™ UltraClear PP is the optimal, cost-effective option to help brand owners address the growing packaging trends for both resource efficiency and attention-grabbing appeal. Milliken also will demonstrate at the fair how its ClearShield® UV absorber for clear and light-colored PET bottles and containers protects and preserves UV-sensitive packed goods. 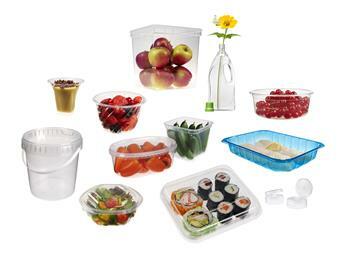 Milliken’s advances are not limited to polypropylene. The company also brings real value to PET packaging via its ClearShield® UV absorber. This technology effectively protects UV-sensitive packed contents from degradation while maintaining the clarity and transparency of PET. ClearShield technology offers an alternative, simpler way to provide UV protection. By incorporating the UV absorber into the PET package itself, it allows brand owners to remove UV additives from the formulations of the packaged contents. This can lower cost by simplifying the formulation process and reducing the amount of UV additive needed. There also are environmental advantages. By enabling greater use of more natural and uncolored PET, ClearShield helps to reduce or eliminate the need to use dark or colored containers to protect the contents. Such opaque and colored PET materials tend to make the recycle stream dark, which can make recycling more difficult and lessen the value of the reclaimed product. Check out the clear advantages of Milliken’s various food and beverage packaging solutions at Gulfood Manufacturing 2018 (www.gulfoodmanufacturing.com) from Nov. 6-8, 2018, at the Dubai World Trade Centre. Stop by and visit Milliken in Hall 4, Booth C4-44. ClearShield, Millad, NX, Milliken, and the Milliken logo are registered trademarks of Milliken & Company. Milliken to highlight its clear packaging solutions at Gulfood Manufacturing 2018 in Dubai. Milliken will demonstrate how its ClearShield® UV absorber for clear and light-colored PET bottles and containers protects and preserves UV-sensitive packed goods.